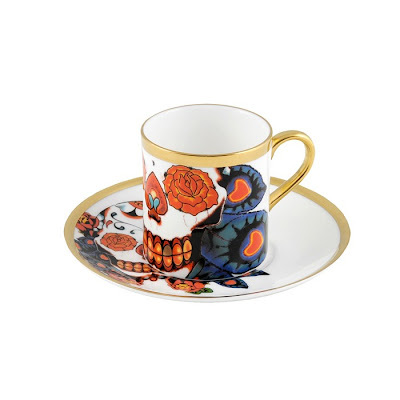 I have a bit of an issue with teacups. There are loads of gorgeous ones around, but I need my tea in a mug. When it comes to my caffeine cravings, a dainty little cup just isn't going to cut it. Espresso, on the other hand, is different. Those cute little cups work. They're just the right size and very pretty indeed. Check out this week's Friday Five. Stating the obvious, no? 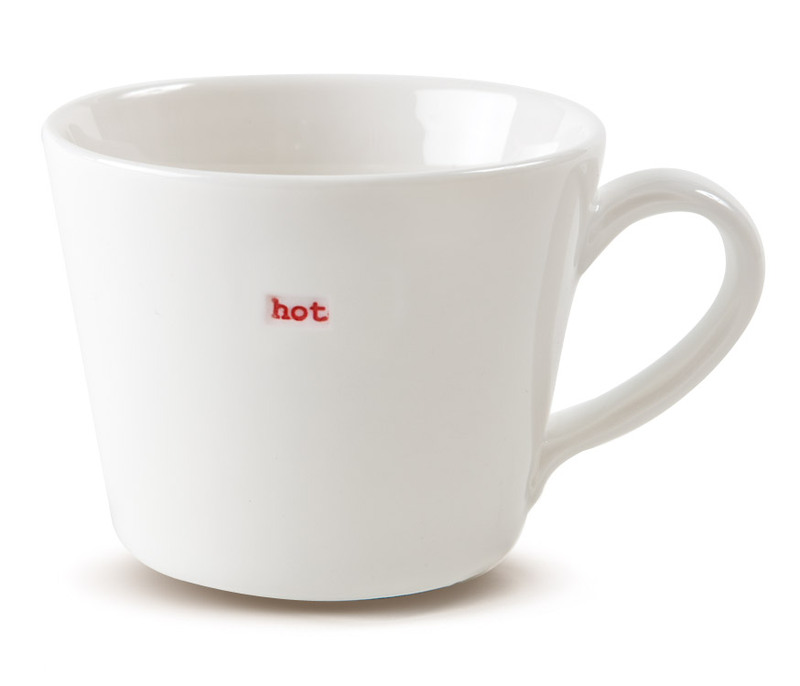 I like the 'hot' slogan cup from Bouf. 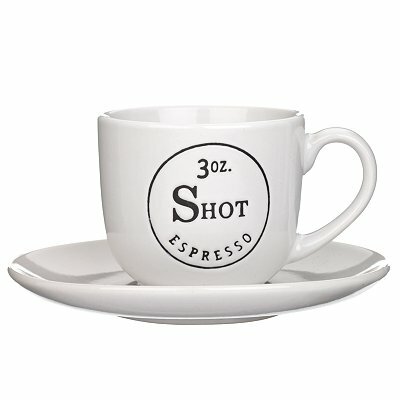 I love the classic design of this 3oz cup from John Lewis. Not cheap, but I do like this Florian Hunter design. 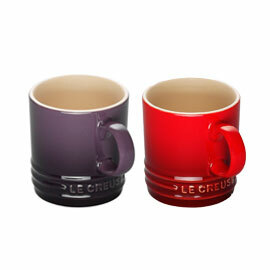 Oh Le Creuset, you can do no wrong. Aliens on cups. This is my favourite. Most things with aliens are my favourite.